Key positions held by Randy Barone –President Pearl Solutions, President Redbumper, Executive President of sales for American Auto Exchange, Inc. (aaXchange). Randy is considered an expert in custom-designed training for new, used, and buy here- pay here dealerships. He is a consultant for NADA and NCM 20 Groups and has been a national speaker for state conventions, multiple 20 groups, and a speaker at the 2000, 2002, 2004, 2005, 2007, 2008, 2018 and 2019 National Automobile Conventions. Randy has held every position in retail automobile sales from sales to General Manager. Randy has been honored as a Grand Master Salesperson by Ford Motor Company for selling over 300 units in one year. 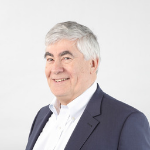 Prior to joining aaXchange, he was national director of training at AFAS, an automotive financial services and training company, responsible for training and sales of AFAS products and sales agents. Randy currently conducts dealer meetings and in-store consulting with top dealer groups and providing consulting information to improve overall dealership frontend processes from the time a customer looks at a vehicle online, trade evaluations, completing the transaction online or in store along with inventory management and used vehicle processes. Randy recently shut down his Automotive retail operation in the Houston market in Nov 2014 where he was able to keep his hands on the industry and stay in tune with auction values and used vehicle processes. A #1 best-selling author and top female mindset and burnout expert, Jessica is the authority on The Self-Talk Advantage. As a former TV talk show host and an award-winning top sales performer at a Fortune 100 company, Jessica helps you Blaze Your Brain and turn negative thoughts into positive results! 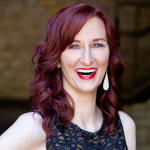 She works with leaders, teams, and organizations like NBCUniversal, Dallas Mavericks, and American Airlines to fire up your brain, extinguish burnout, and ignite your people. Jessica has been seen on ABC, NBC, CBS, and FOX for creating change. She is also mom to Blaise, the youngest published author in the United States. Chuck is President of Seguin Advisory Services (SAS) a thriving Canadian consulting practice focusing exclusively on automotive retailing. Having just completed the “Driving The Road Ahead….A view into the future of Canadian automobile retailing” project for CADA, combined with over 30 years of industry experience, Chuck is well versed in the potential business environment facing dealers in the years ahead. His international and domestic client list contains automotive manufacturers, distributors, independent dealers and dealer groups, trade associations, financial institutions, and automotive retail product service providers. This exciting mix has exposed him to multiple angles of automotive retailing. 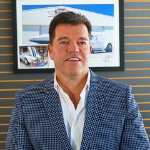 Likely best known in the dealer world for his succession planning focus, Chuck is also active in dealership valuation, buy/sells, estate planning, market studies, and industry advisory services and is considered by many within the industry to be one of Canada’s leading automotive retail independent advisors. He is a regular speaker at industry events and a regular contributor to Canadian Auto Dealer Magazine. Chuck is also involved as an instructor in the graduate level Dealer Management Program at the Automotive Business School of Canada. Chuck is also active in the community having completed an 11-year post that included acting as Treasurer and Board Chair of St John’s Rehab Hospital in North York, Ontario. Now part of the Sunnybrook Health network, St. John’s is Canada’s largest stand-alone rehabilitation facility specializing in trauma, stroke, burns, workplace injury rehabilitation. He is currently President and Board Chair of the Midland Golf & Country Club.